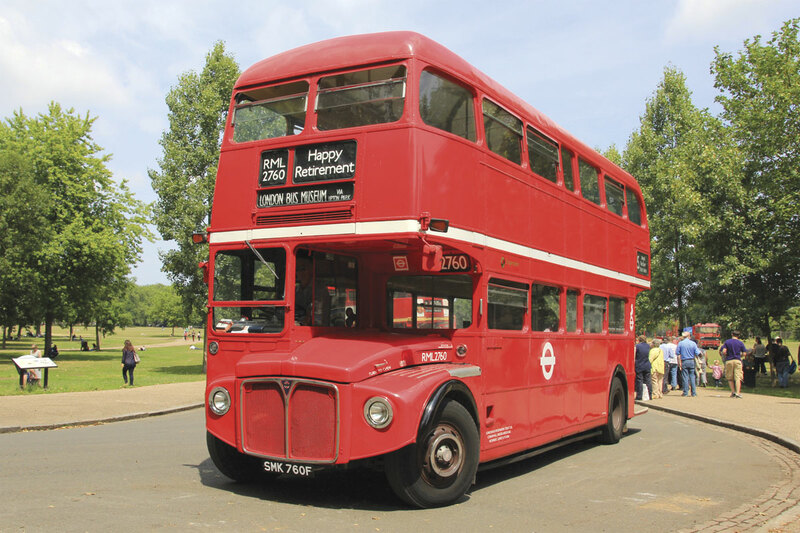 Ten years on and the Routemaster Association staged a similar weekend event to celebrate the diamond jubilee of the type and demonstrate its many and varied subsequent lives. 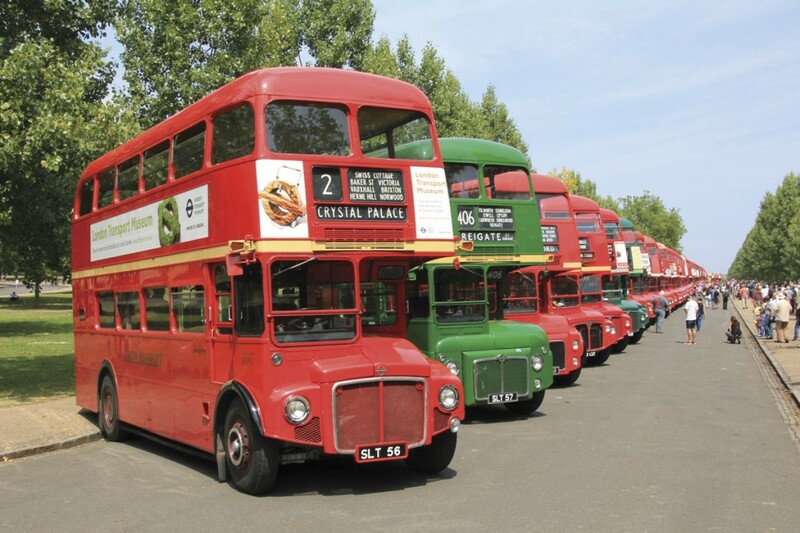 By early afternoon on Saturday, around 90 Routemasters were lined up along the long main boulevard of Finsbury Park. The organisers later reported that 136 had attended over the two days. Counting exactly was difficult as vehicles came and went to operate a free X60 demonstration service, take part in parades or attend other commitments, there being a busy commercial market for Routemaster hire in London. The Saturday afternoon parade included most of the landmark vehicles present including the first three prototypes and, numerically, the last one built together with the sole rear engined prototype built using around 60% of normal Routemaster parts. The latter vehicle was exhibited away from the main line up alongside a small number of other non Routemaster historic vehicles. On Saturday afternoon, these included London Transport Museum’s recently launched ‘B’ type, Arriva’s first London low floor double-decker, an ALX400 DAF now a driver trainer and Stagecoach’s ‘Spirit of London’ Enviro 400 prototype. In addition to the ranks of preserved Routemasters, there was a good selection of commercially operated vehicles. Many of these are available for private hire but other examples have been converted to bars, hospitality units, exhibition vehicles and even a hearse. South East Coachworks have undertaken many of these conversions and were proud to be a major sponsor of the event. London Transport Museum also supported the event with vehicles and displays although it was not a specific ‘Year of the Bus’ event and, on the Saturday, no example of TfL’s new Routemaster was present to provide comparison. Chairman of the event’s organisers, the Routemaster Association, Andrew Morgan was pleased with the turn out, both of vehicles and visitors with the general public taking a significant interest. 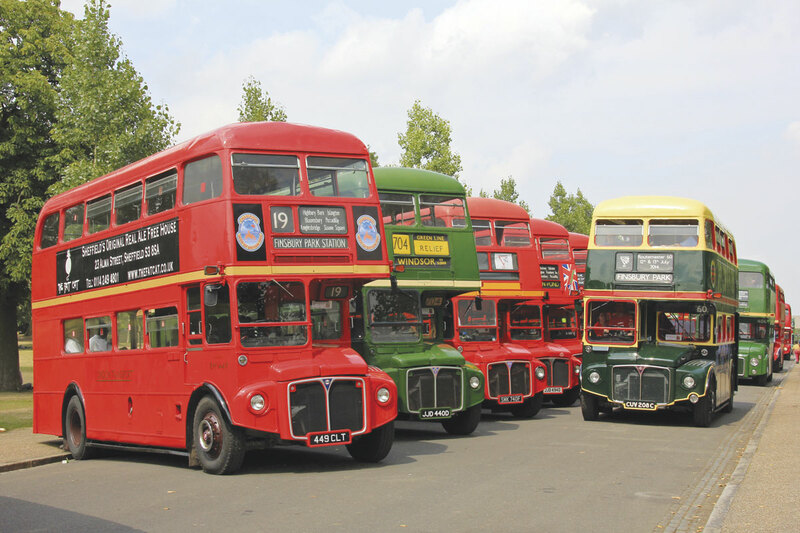 The popularity was no surprise to Andrew who confirmed that some 1280 vehicles, over 40% of the Routemasters built, still exist with approximately half in the UK and the other half scattered across 60 countries around the world. 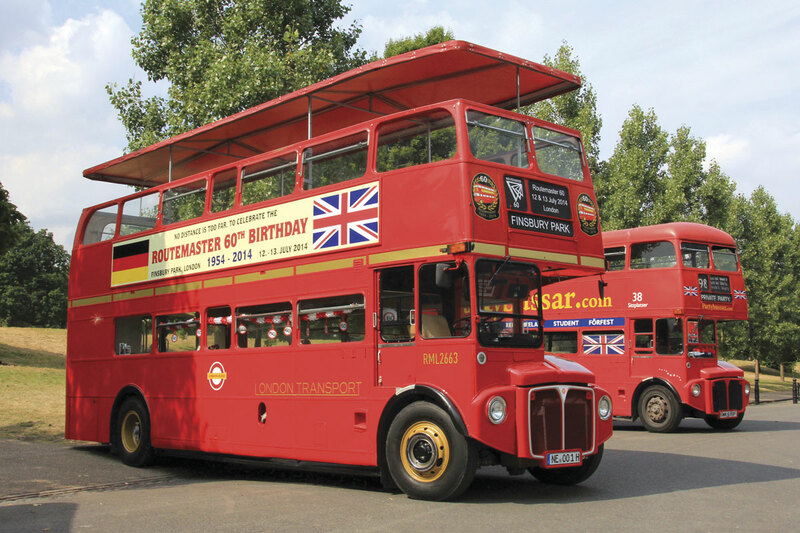 Overseas owners also contributed to the success of Routemaster 60 with examples from Germany and Sweden arriving in time for Saturday’s display. 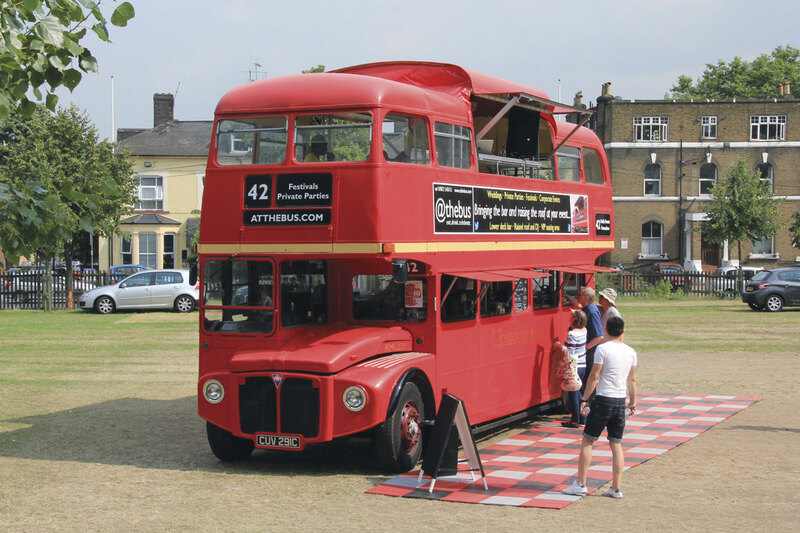 A high quality programme was produced by the Routemaster Association, this carried the event’s three triangle logo which also appeared on a range of merchandise sold to commemorate the event. 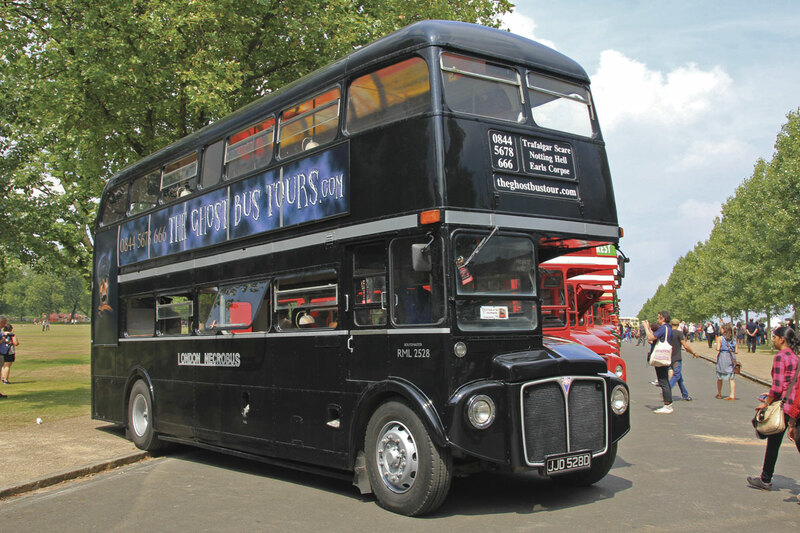 The first prototype Routemaster displayed at the 1954 Commercial Motor Show was 27feet long with an underslung radiator to maximise the passenger accommodation which, at 64, was eight more than the AEC Regent III RT type vehicles then entering service in London. Relaxation of the length restrictions for double-deck buses enabled the radiator to be relocated to the normal position, covered, after a number of styling attempts as seen on the restored prototypes, by the grille familiar today. Four prototypes were built between 1954 and 1957 with the participation of Leyland, Weymann and ECW in addition to AEC and Park Royal who would deliver the majority of production vehicles. The design was considered revolutionary at the time although this really applied only to its technical features rather than the operating concept which differed little from London’s vehicles of the previous 30 years. The major advance was replacing the traditional chassis with a lightweight aluminium alloy stressed skin body structure to which front and rear steel subframes were attached carrying the mechanical components. This had a beneficial effect on fuel consumption but the rear open platform body design requiring a second crew member meant operating costs could not be reduced in later years in the same manner as vehicles such as the Leyland Atlantean which entered series production like the Routemaster in 1958. Between 1958 and 1968, 2872 production Routemasters were built, most going to London Transport itself including 524 built to 30ft length with eight additional seats (RML). 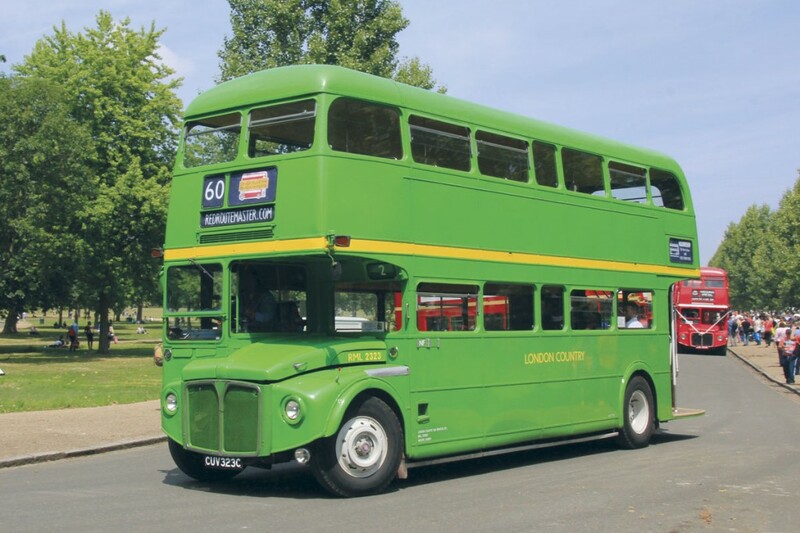 100 of the latter carried green livery for operation in London Transport’s country area, as did over 100 across both lengths built with coach seating for use on Green Line coach services. 65 short front entrance examples were built for operation by London Transport on behalf of BEA, towing trailers for passengers’ luggage and a batch of 50 long front entrance vehicles was purchased by BET owned Northern General, the only open market order for the type. The country area Routemasters transferred to London Country Bus Services in 1970 but within a decade most were declared redundant in the pursuit of reduced operating costs. London Transport reacquired most of them together with the BEA examples, some being used for training and staff bus duties. Following service reductions in the 1980s, many of the standard length Routemasters (RM) were withdrawn and sold, either for scrap or for innovative provincial operations at the time of bus deregulation. The majority of RMLs were refurbished in the early 1990s when Cummins or Iveco engines were fitted, a process applied to some RMs at the end of the decade, many of which had been reacquired from provincial operators or preservationists. 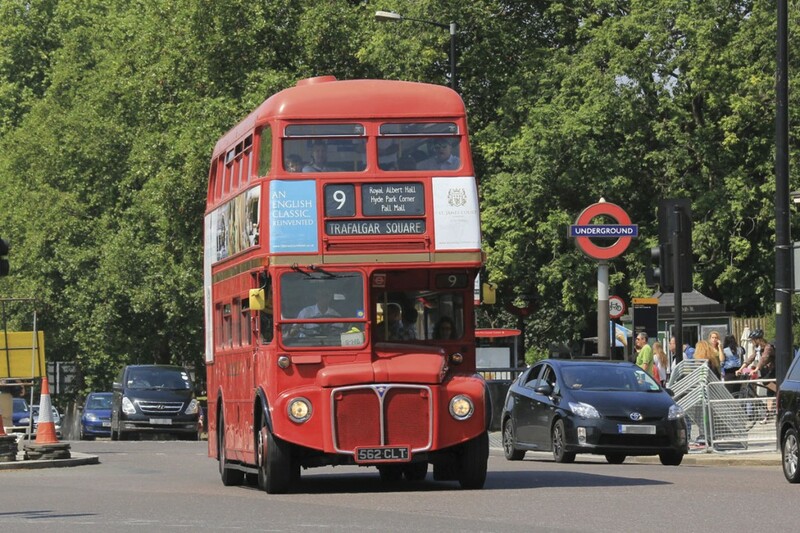 At the millennium, over 500 Routemasters were still in regular service on key routes across central London. A rapid run down in favour of the short lived articulated bus followed and the last Routemaster ran in normal service in December 2005. London Buses had by then established a heritage service on routes 9 and 15 to continue the regular use of Routemasters in the capital. Route 9 will cease on 25 July leaving the best of the remaining vehicles to be concentrated on the 15.